Congratulations to all the AT Team England qualifiers, especially the first-time caps. They will make up the two teams to fish next year’s Spring and Autumn Home Loch-style Internationals on Lough Mask, Ireland and Llyn Brenig, Wales. AT Team England FF Loch-style Team Manager Paul Angell reports: On Saturday 2nd September, the 122 anglers who had qualified for this year’s National Championship to select the Loch-Style teams for 2018, congregated in front of the lodge at Rutland Water to hear the briefing by match organiser Peter Hartley. 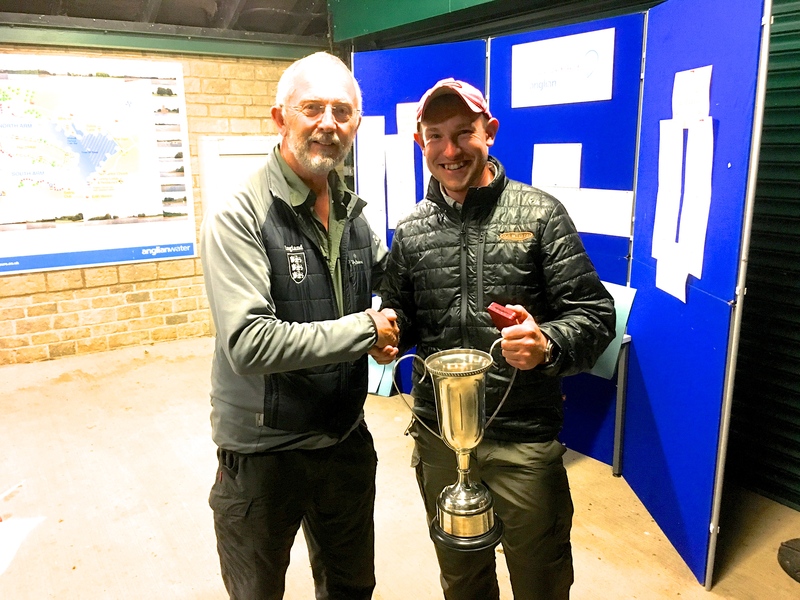 The match was to be held over 2 days with the top 28 anglers being selected to represent England at Lough Mask in Ireland or Llyn Brenig in Wales. Saturday’s weather was less than ideal with bright sunny spells and little wind for much of the day. The bulk of the fleet opted to fish the main basin and, to start with at least, few rods were to be seen bending. As the day progressed a light breeze developed and as the boats were able to cover more water the catch rate, for some at least, improved. By the end of the first day, six anglers had managed to catch their 8 fish limit, with a number of others on 6 or 7. Charlie Abrahams was also well up with the leading group despite having only landed two fish. A magnificent brown trout of over 7lb together with a rainbow of around 4lb saw him finish the day in 25th place. Overall the rod average on a very tough day was an impressive 3.64 – a testament to the quality of anglers afloat in these championships. Sunday saw very different conditions with overcast skies and a steady breeze. Again the bulk of the boats headed for the main basin. Some got into fish early which proved important as boat pressure resulted in areas which had produced the previous day, becoming much harder as the morning progressed. In the search for fresh fish a small number of boats headed back towards the Normanton shore around W buoy and the blue pipes where they found a big shoal of stockies. Quickly these first boats bagged up and started to make their way back to the dock with the first boat back at around 3pm. This was noticed by others and boats started moving onto the fresh stockies with lots of rods bending as they made the most of the plethora of fish. By the end of the match at 6pm, 39 anglers had completed their 8 fish limit, with many having come from the Normanton side of the reservoir. This was to have a considerable impact on the results from the previous day with almost half those occupying to 30 placings after day one, dropping down the field. After the weigh in, a computer glitch meant a lengthy delay before the results were announced. The Day 2 rod average was 5.6, giving an average over the whole 2 days of 6.5 fish per angler. Finally Tom Davis was announced as National Champion, and making a family occasion to remember, father Ashley Davis was also announced as qualifying for his first international cap. Past World Champion Iain Barr was runner up, with England’s most capped angler John Horsey in third. Congratulations to all those qualifying anglers and a special thank you to Anglian Water and the staff at Rutland for all their help and two days fishing to remember. Thanks also go to Ian Colclough for all his work in planning and organising the event.